Go for a swim in the Bottomless Lake and solve the Ainigmata Ostraka riddle. During your travels through Ancient Greece in Assassin’s Creed Odyssey, expect to find Ainigmata Ostraka riddles with vague clues about where loot can be found. 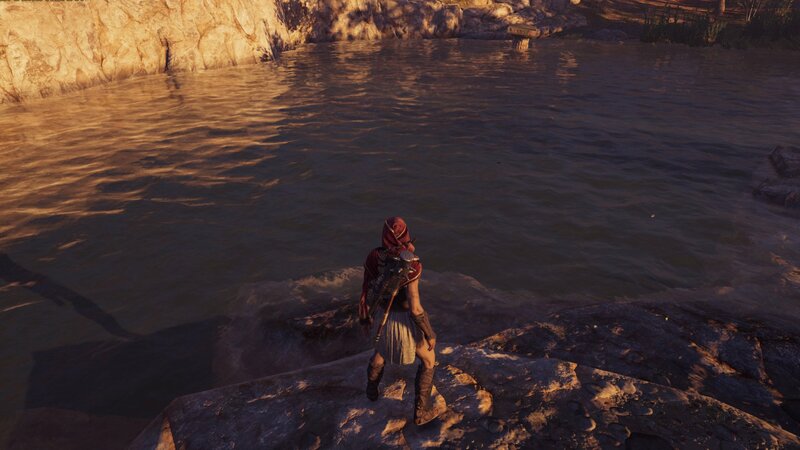 Unlike many things in Assassin’s Creed games, there won’t be a waypoint or map marker, leaving players to figure out where to go and what to do on their own. If you’re stuck, though, the answer to the riddle can be found below. Bring up your map and focus on the Kephallonia Islands, which is where you should be if you just found the Ainigmata Ostraka. Look for the Coast of Koliadai region on the map and look for a lake just below the letter C in Coast. That tiny lake is where you’re headed. When you arrive, you’ll notice this small body of water is actually called Lake Abythos, not the Bottomless Lake. However, keen-eyed players will likely spot the similarity to the word abyss, which is defined as "an immeasurably deep gulf or great space." Makes sense, right? Dive in and head down, looking for a statue of a woman as you descend. Being mindful of your air supply displayed on the bottom of your HUD, interact with the area around the statue and the treasure will be yours. 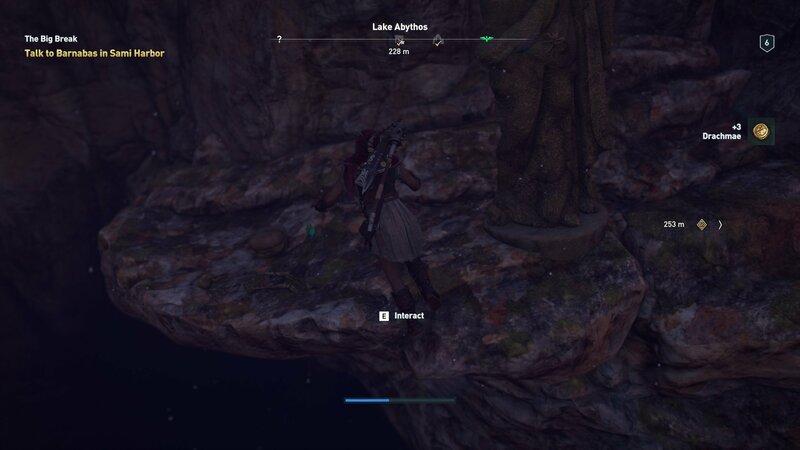 Just be sure to loot the entire bottom of the lake, as there is a bit of Drachmae to find as well. 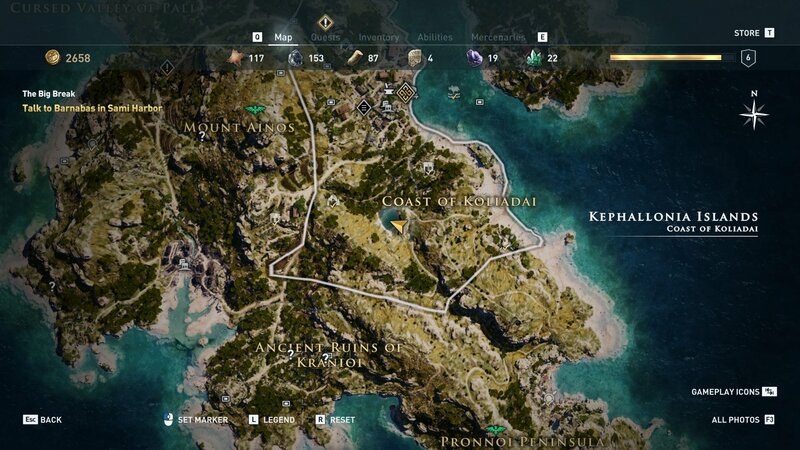 With the Bottomless Lake Ainigmata Ostraka taken care of and the loot in your hands, be sure to visit the Assassin’s Creed Odyssey walkthrough and strategy guide, arming yourself with all the knowledge required to be the best assassin Ancient Greece has ever known.